This summer the Clark and local entertainment company Sounds + Tones present curated acoustic concerts in the open air, with up-and-coming artists performing at Thomas Schütte: Crystal from 12-2 pm on select Sundays in August. Pack a picnic or purchase one from the café, make the climb, and enjoy a peaceful afternoon performance on Stone Hill. House Sparrow is a two-person band driven by synthesizers, baritone ukulele, Francesca's heavenly voice, and a lot of rumination on nature, waiting, death, and time. 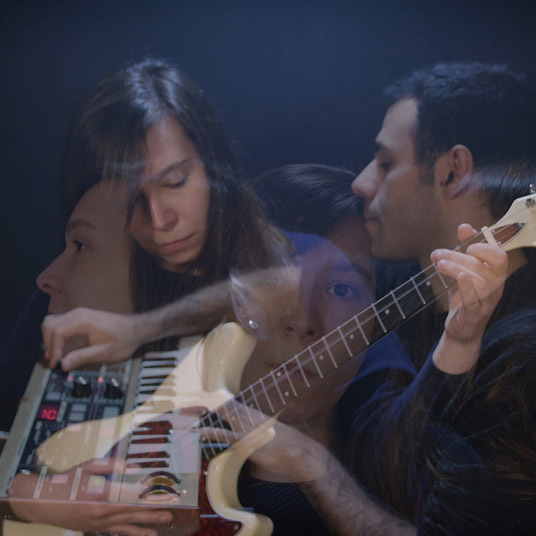 Band members Francesca Olsen and Joe Aidonidis combine their talents to create a dreamy wall of sound that's worth a close listen. Free and open to all. In the event of rain, the concert will take place at the Lunder Center at Stone Hill.